Men's Sport Hoodie Just $19.99! Down From $60! PLUS FREE Shipping! You are here: Home / Great Deals / Black Friday Deals / Men’s Sport Hoodie Just $19.99! Down From $60! PLUS FREE Shipping! Men’s Sport Hoodie Just $19.99! Down From $60! PLUS FREE Shipping! 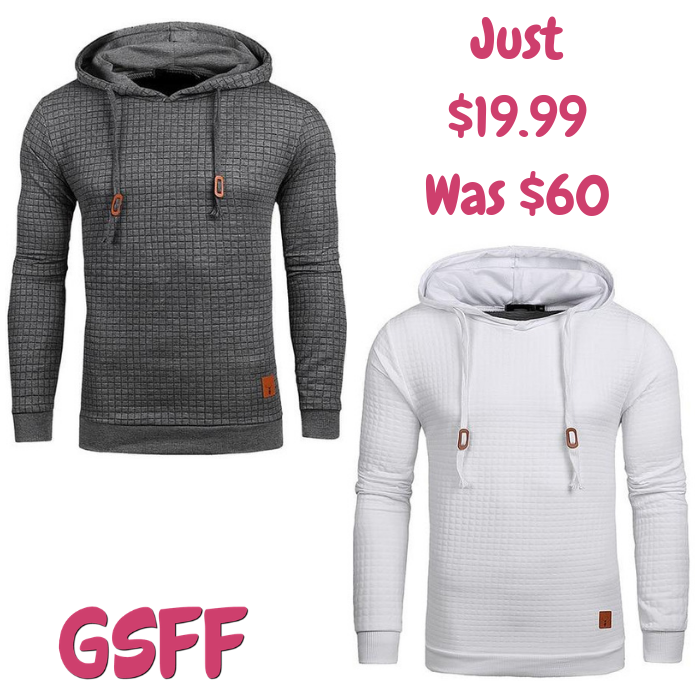 Head over to Overhalfsale.com to score this Men’s Sport Hoodie for just $19.99 down from $59.99 when you enter promo code BLACKFRIDAY at checkout PLUS FREE shipping! If you are looking for a perfect present this coming Christmas, then you should check this out! Stylish and good quality hoodie for your brother, lover or friend. You can choose from 6 different colors.